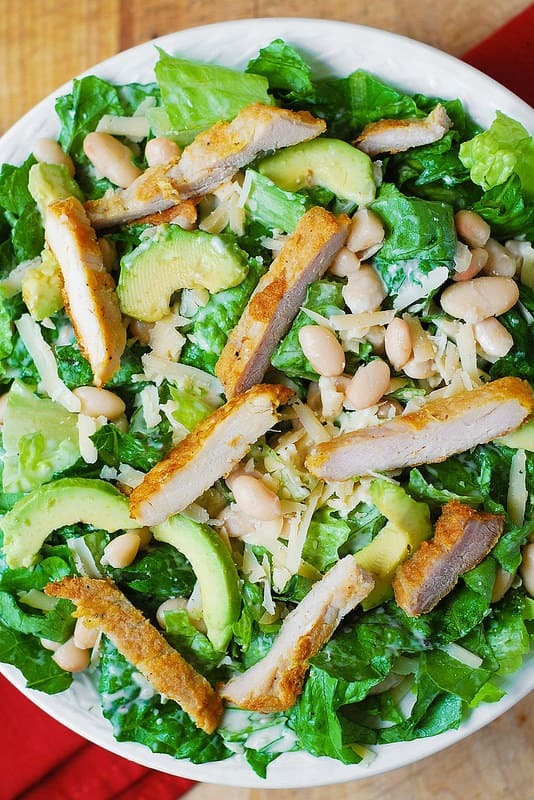 Chicken Caesar Salad with Cannellini Beans and Avocado – healthy, gluten free salad. The salad is rich in natural fats, fiber, protein, and makes a great lunch or dinner! 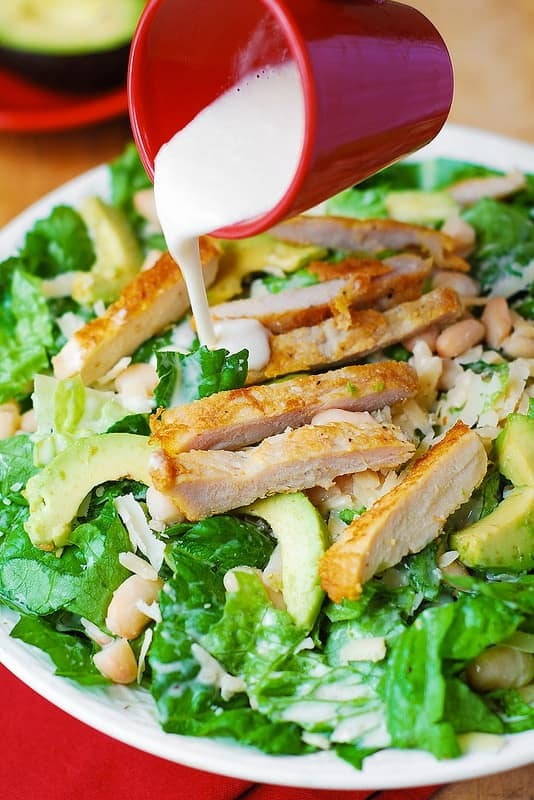 Cannellini beans (or any white beans) + avocado + Caesar dressing make this salad so very creamy – you’ll love it! The addition of grilled chicken turns this salad into a delicious, satisfying main-course meal! Use cannellini beans (from the can) or other cooked white beans. Use store-bought Caesar salad. If you want to make it from scratch, here are 2 great recipes: this Caesar salad dressing is without anchovies and this one is with anchovies. Use grilled chicken or rotisserie chicken. 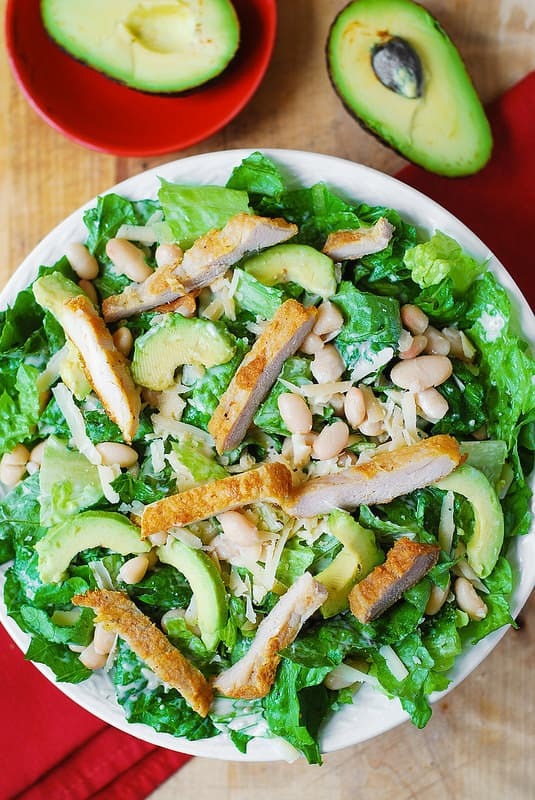 Chicken Caesar Salad with Cannellini Beans and Avocado – healthy, gluten free salad. 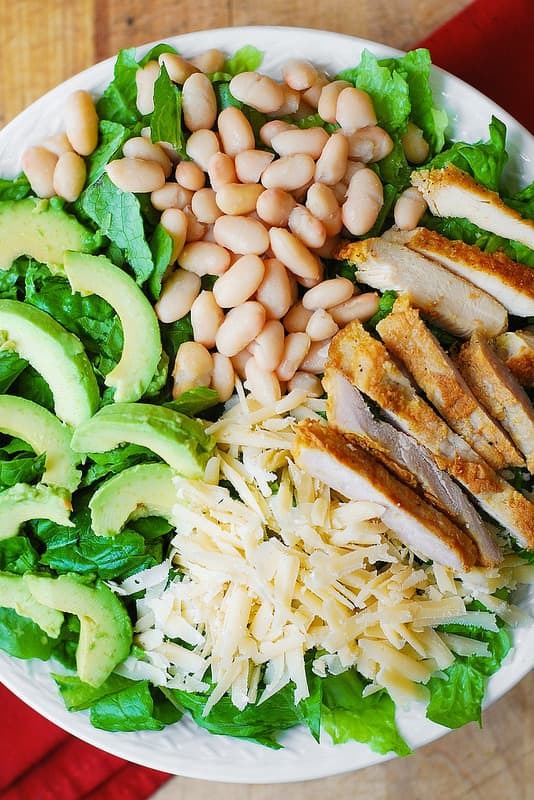 Cannellini and avocados add so much natural creaminess to this salad. 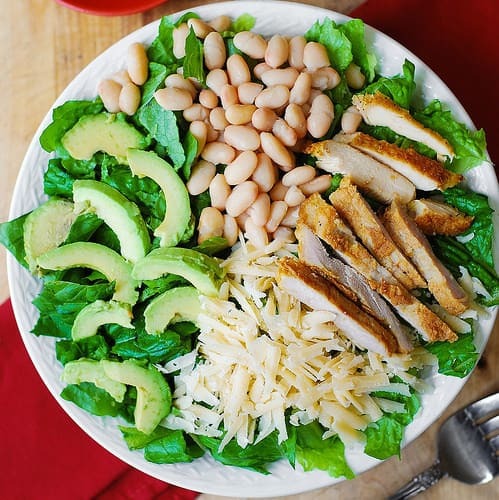 Combine lettuce (torn into small pieces), beans (rinsed and drained), sliced avocado and the cheese in a large bowl. Toss with dressing, top with grilled and sliced chicken breast, and serve immediately.